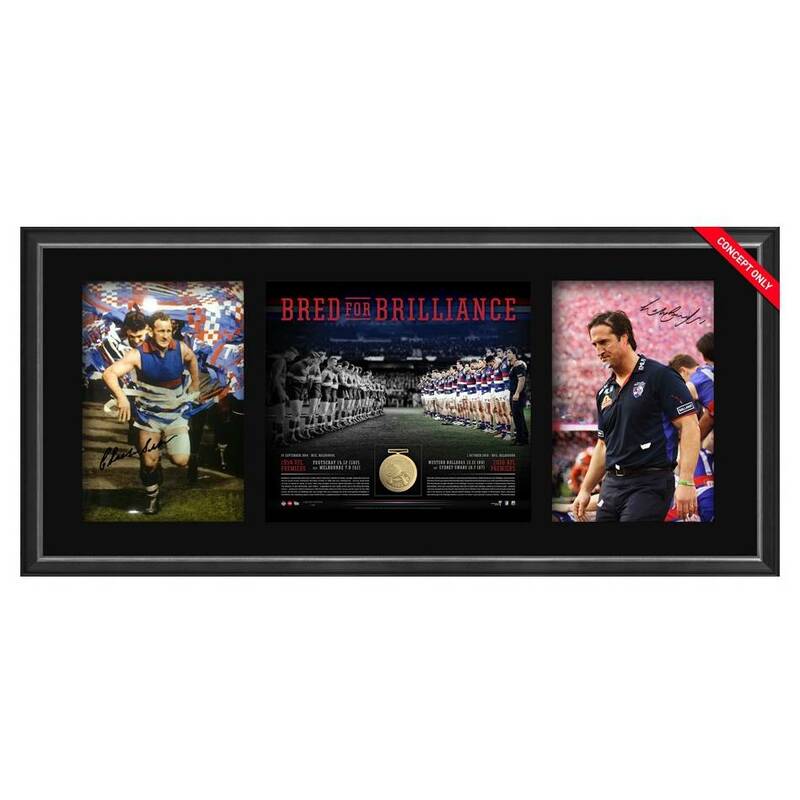 ‘BRED FOR BRILLIANCE’ is the only Bulldogs memorabilia commemorating the two men responsible for the Bulldogs’ most glorious moments – Premiership coaches Luke Beveridge and Charlie Sutton. This stunning display presents two heroes of a very proud club in a manner of which they deserve. Fearless on and off the field, these two men led the Western Bulldogs to the ultimate glory.